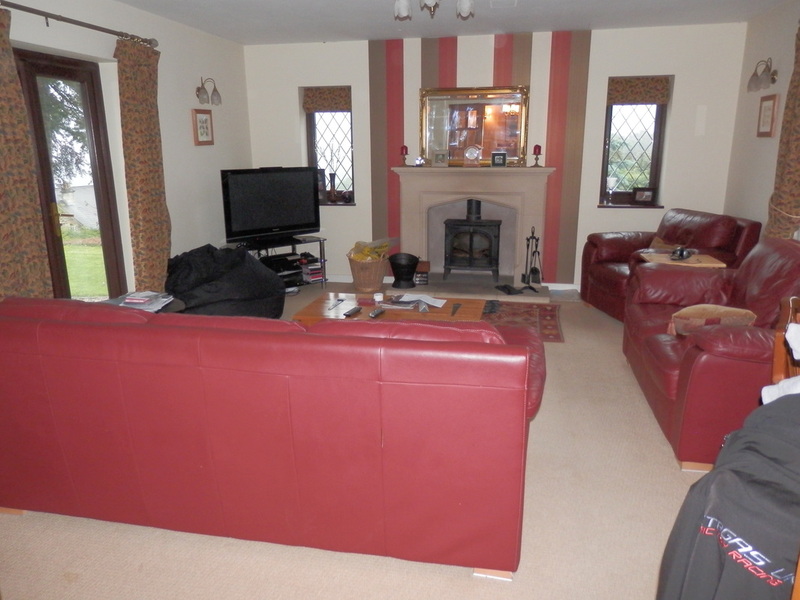 From the elegant dining room , double glazed doors open to the very comfortable lounge . Once we were both settled , the Dictaphone went on and the interview started . The interview you read here is the interview that was recorded. You are getting it word for word as if you are asking Steve the questions yourself. 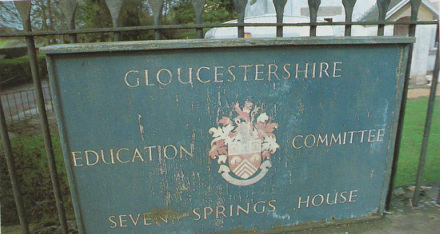 I was brought up in Seven Springs which is actually the source of the river Thames which is on the side of Cheltenham, up towards Birdlip. 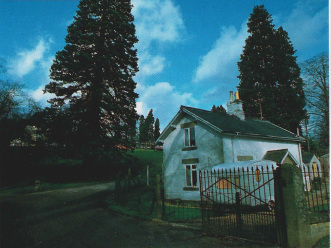 My father was caretaker at a private school and we lived at the Keepers Cottage at the school. 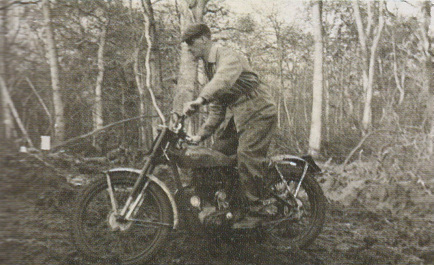 We were lucky as it had 52 acres of woodland and it was prime trials land in those days. Back in the early 70’s it was a really good piece of land. This was where I did all of my practicing every night. The school ended up being called Sandford School, but prior to this was a Dr Barnado’s retreat school and then taken over by the council and run as a school and then after wards was used as a naughty boys and girls school. It’s sadly now closed down and empty. I heard that Liz Hurley was looking at the place last week. So there’s a potential purchase. Did you get everything you wanted as a child? No, my parents weren’t particularly wealthy, so they gave me everything that they could. They didn’t give me everything I wanted which was good. I was an only child but that was primarily because they had me and thought that they don’t want two of these little s**ts so they only had the one. I had 6 months off riding because my dad was trying to save up to buy a TY170, so that just goes to show that things weren’t quite that simple. This was about 1975. What did your mother do ? Tell me what you can remember about your first introduction to motorcycles? My first introduction to motorcycles isn’t something I can remember, but it was something I was told because I was to young, only 18 months old. My dad had a little rat hole in the shed and I crawled through into the shed and tried to get into his bike and pulled it down on myself. I put the foot rest through my big toe and it was hanging off. I don’t remember any of this but this is how the story goes. It was probably an ariel or something like that I guess. Was your family immersed in trials ? 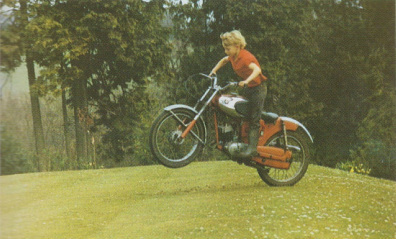 My dad was pretty much obsessed with any motorcycle sport he loved his scrambling, we had Johnny Draper who was British Champion living just down the road and he was good friends with my Dad. My Dad ended up being West Centre Trials Champion so that’s kind of how I got into it. Did your mum come along to events when you were a kid? Yes, she got dragged along everywhere bless her. 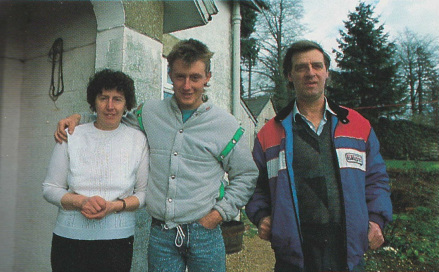 My Dad took me everywhere he could, to all the British Championships. No, I hated it, absolutely hated it. I just wanted to be out playing on my motorbike and I didn’t want to be listening to what these stupid teachers had to tell me. With hindsight I wish I’d knuckled down a little bit more but I just wanted to play on my bike. What age did you leave education? 16, as soon as I could, straight to work. 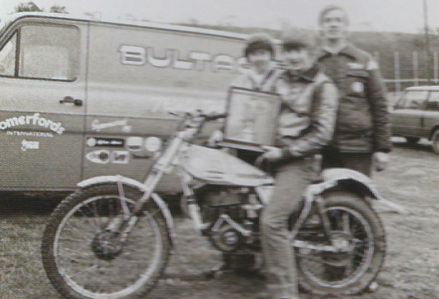 I went to BVM, which was a trials shop which my dad helped to start in its early days. 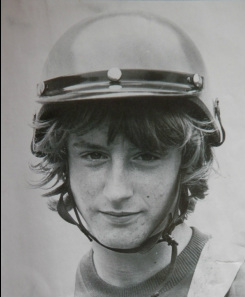 Mark Kemps mother was the head mistress at the school so when Mark came back from uni he started riding trials and thought there was a market place for a trials shop and started a shop from this school. It was set up from the stables there, that’s where this all started. My dad was very instrumental in this.